Our family-owned operation has been serving locals and visitors in St. Petersburg/Clearwater since 1986. What started as a single vessel operation has grown to become Florida's largest daily excursion fleet. We offer our passengers the most variety and the best value on the water. 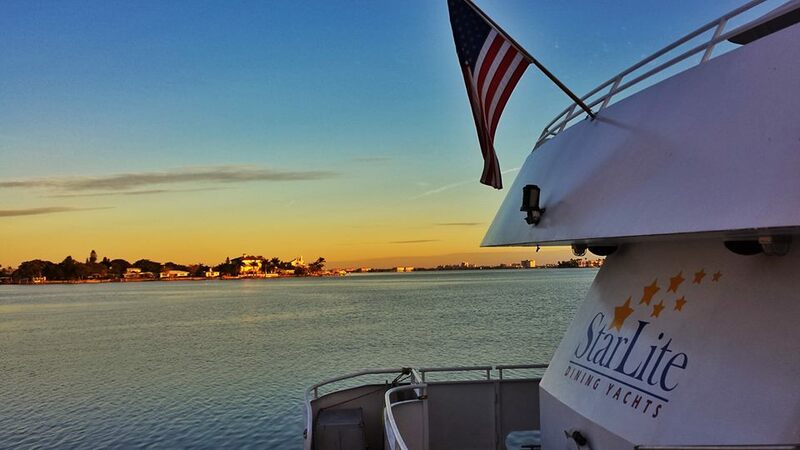 With so many options and a great reputation for service, it's no wonder that over 3 million passengers have enjoyed cruising with StarLite. Choose one of our regularly scheduled cruises for that special occasion like a birthday or anniversary. For larger parties, we offer private dining areas and private vessel charters. From nature cruises to fine dining yacht cruises, casual tropical party cruises to dolphin tours, and luncheon cruises to full day tour group excursions, we offer it all! Check out our fleet of passenger vessels and variety of cruises on scenic Florida inland waters. We have a cruise for you!